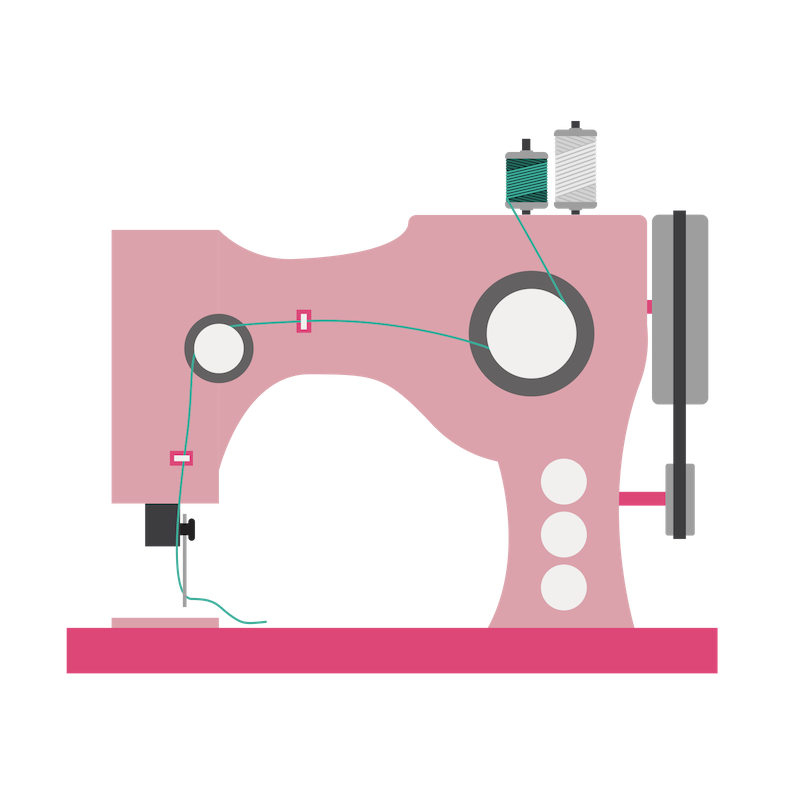 Have you been thinking about buying a walking foot sewing machine? Having a machine with a walking foot can make many of your projects much easier. This is especially true if you enjoy working with quilts or multiple layers of fabric. And it’s practically a necessity if you have a home business that specializes in upholstery. You probably have a few questions if you’re new to this topic. What is a walking foot sewing machine? How is it different from other machines? Is it something that you need? And, of course, which one is best for you? What is a walking foot sewing machine? 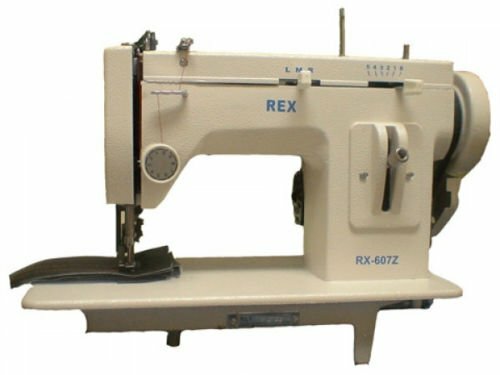 What should I look for in a walking foot sewing machine? Do you need a walking foot sewing machine? How Much Will a Walking Foot Sewing Machine Cost? Most of the basic features and specifications were gathered from each machines’ official website. Sites such as Sewing Machine Plus and customer reviews were also used. When reviewing these products, we chose to focus on aspects such as speed, power, durability, portability, features, and ease of use. Cost was also a major factor in our reviews. Here are our picks for the best walking foot sewing machines in 2018. The Reliable Barracuda 200ZW Portable Walking Foot & Zig-Zag Sewing Machine is a great little machine for small, household projects. It’s also appropriate for sewing upholstery and sails. It only weighs 34 pounds, making it very portable. It’s also capable of sewing up to 800 stitches per minute. You can use it for both straight and zigzag stitching. It also comes pre-assembled, and you can buy many optional attachments such as a welting foot and table stand. Customers have raved about this machine for its durability, ease of use, and portability. Most of its complaints have centered around its optional features. These have an unfortunate history of breaking or not performing as they should. They’re simply not as high-quality as the machine itself. It’s also incapable of working on some industrial-grade projects. The price is very reasonable for a machine of this quality. 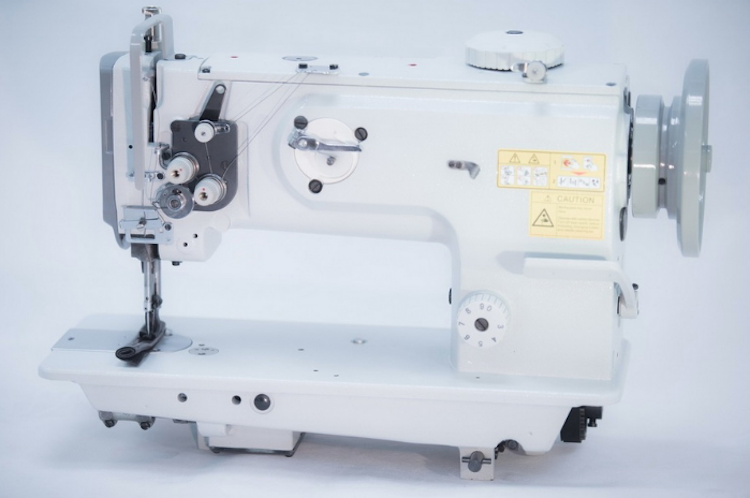 Overall, the Reliable Barracuda 200ZW is a great sewing machine for beginning sewists. It’s reasonably priced and is excellent for household projects. Just be wary of its optional attachments. Sewingmachineplus.com gives it a 4.1 out of 5 stars. The Sailrite Ultrafeed LSZ-1 Plus is a heavy-duty walking foot sewing machine that’s famous for demonstrations that show it sewing 10 layers of fabric at once. It’s great for sailcloths and canvas as well as other household projects. It’s capable of both straight and zigzag stitching and has a speed of 500 stitches per minute. It also features the Power Plus Balance Wheel and Posi-Pin Clutching System. 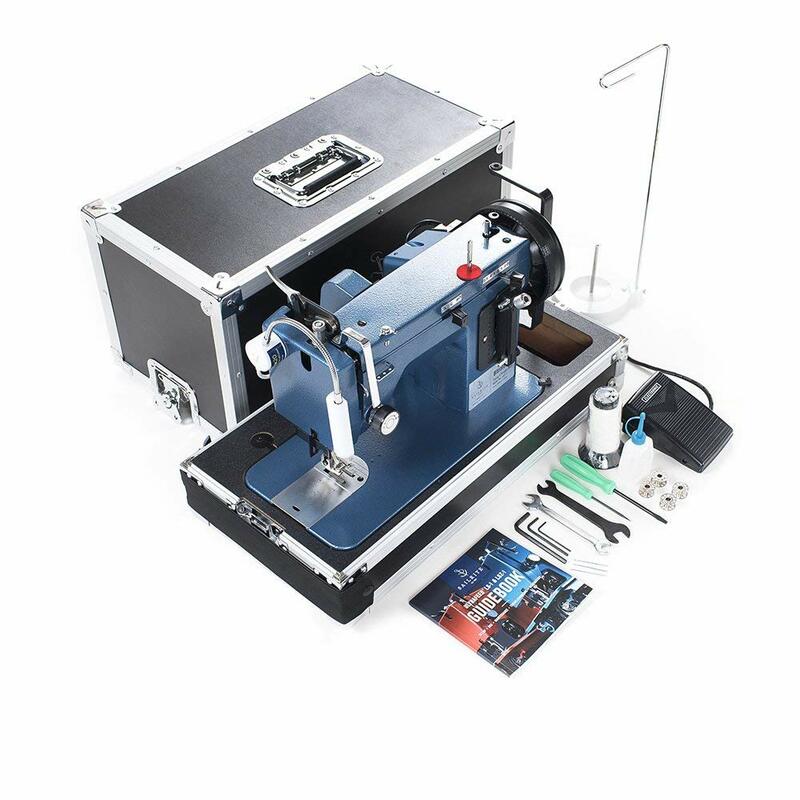 Customers love this walking foot sewing machine for its power, portability, and longevity. Many have been able to use it for years without any issues. However, there have been some complaints about it not staying in tune. It also lacks many of the digital features you’d expect from a modern sewing machine. This can make it difficult to use for beginners. You can expect the Sailrite Ultrafeed LSZ-1 to cost between $800 and $950. This might sound like a lot, but it’s actually cheaper than most industrial-grade sewing machines. Still, you’ll have to decide for yourself if it’s worth the price. If you’re looking for something that will perform well and last a long time, then it’s certainly worth considering. This product has 4.2 out of 5 stars on Amazon. 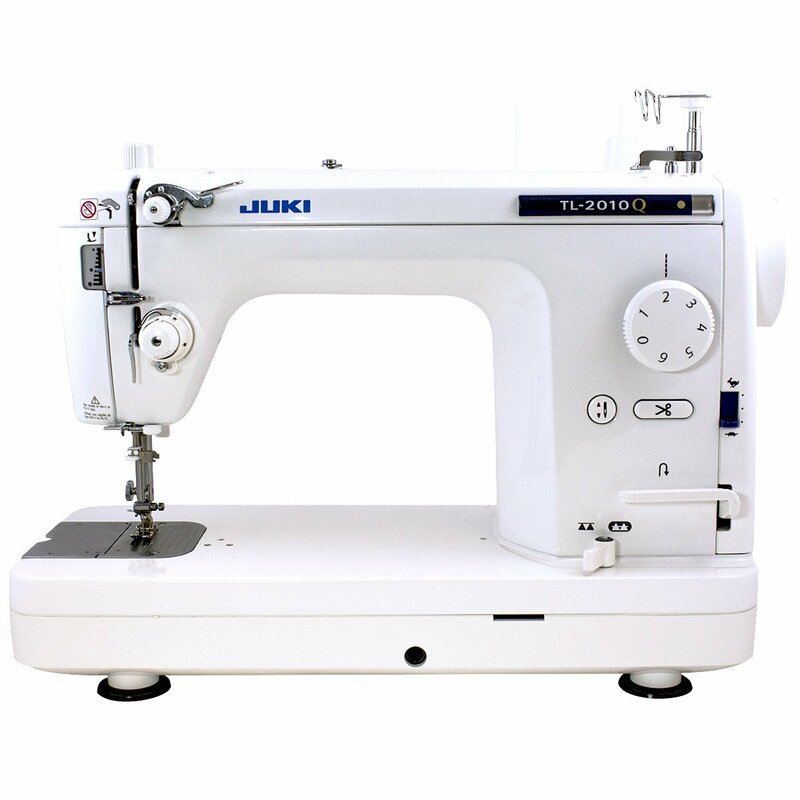 The Juki DNU-1541 Single Needle Walking Foot Lockstitch is a high-quality walking foot sewing machine that’s capable of working with the heaviest of materials. It has an astounding maximum speed of 2500 stitches per minute. It also uses a Servo motor which is fairly quiet and makes it easy to adjust the speed. On top of this, you get a fully assembled table along with the machine. Unfortunately, it also weighs 85 pounds. This means it’s not very portable. Customers love how quickly and easily this walking foot sewing machine stitches heavy materials. It handles virtually anything without any issues. It’s also easy to use once you get the hang of it. This leads to one of its main complaints. It doesn’t come with any instructions. This might not be an issue for experienced sewists, but it poses a major problem for beginners. Another downside is the price. It’s going to cost between $1400 to $2100. This is obviously a major investment. It might be worth it if you’re a professional who’s looking for something fast and efficient. However, beginners will probably want to get started with something cheaper. Amazon gives this machine 4 out of 5 stars. The REX 607Z Portable Walking Foot is an excellent walking foot sewing machine for boaters and hobbyists. It uses a 900 RPM motor and is reminiscent of many older sewing machine models. You can use it for straight or zigzag stitching, and it has a maximum speed of 1200 stitches per minute. It also weighs about 38 pounds, making it a highly portable sewing machine. Many customers love this machine for how easily it stitches through multiple layers at once. They also love it for its portability. That said, there have been some complaints regarding its quality. Some customers have had to have parts replaced. Its stitching is also a bit inconsistent at times. On the bright side, you won’t have to pay too much for this walking foot sewing machine. It’ll cost between $350 to $500. It’s a good, affordable machine if you’re just doing small, household projects. However, you might want to invest in something more expensive if you need to do more heavy-duty jobs. This product has 3.6 out of 5 stars on Amazon. 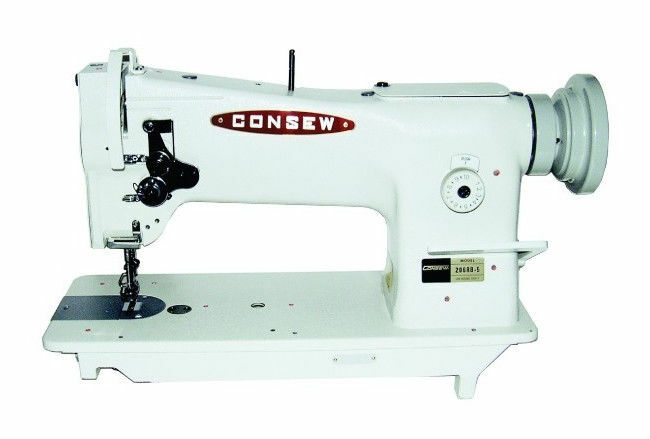 The Consew 206RB-5 is a very popular walking foot sewing machine that’s capable of sewing nearly anything. It has an impressive maximum speed of 3300 stitches per minute. It also features a large bobbin, centralized arm lubrication, and a fixed-speed clutch motor. Unfortunately, it’s not very portable. It weighs 82 pounds, so it’s going to stay wherever you put it. Customers have raved about this machine’s power and reliability. It’s also incredibly quiet. Once again, the main complaint is a lack of instructions. This is an even bigger problem because the machine doesn’t come fully assembled. That said, you shouldn’t have any trouble with it once it’s up and running. As you probably expect, this walking foot sewing machine won’t be cheap. It’s going to cost between $1000 to $1500. You’ll probably find the cost is worth it if you work with heavier materials such as upholstery. If you mostly work with quilts and sails, then you might want to go with something cheaper. Amazon gives this machine 4.3 out of 5 stars. The Yamata 1541S is a great industrial-grade walking foot sewing machine that can handle any kind of material. It features a safety clutch, large bobbin, and a Servo motor. It also has a maximum speed of 2500 stitches per minute. Furthermore, you also get a partially-assembled sewing table with it. Many customers enjoyed the power and durability of this product. They felt it was especially great at working with leather products in particular. Strangely enough, one of the main complaints regarding this machine is the fact that it frequently ships with parts missing. Most of these parts are easily replaced, but this is a hassle that customers shouldn't have to deal with. Moreover, this is actually fairly reasonable considering how well it works. You’ll probably find it to be a worthwhile investment if you work with leather and upholstery on a regular basis. Sewing Machine Plus gives this product 4.8 out of 5 stars. 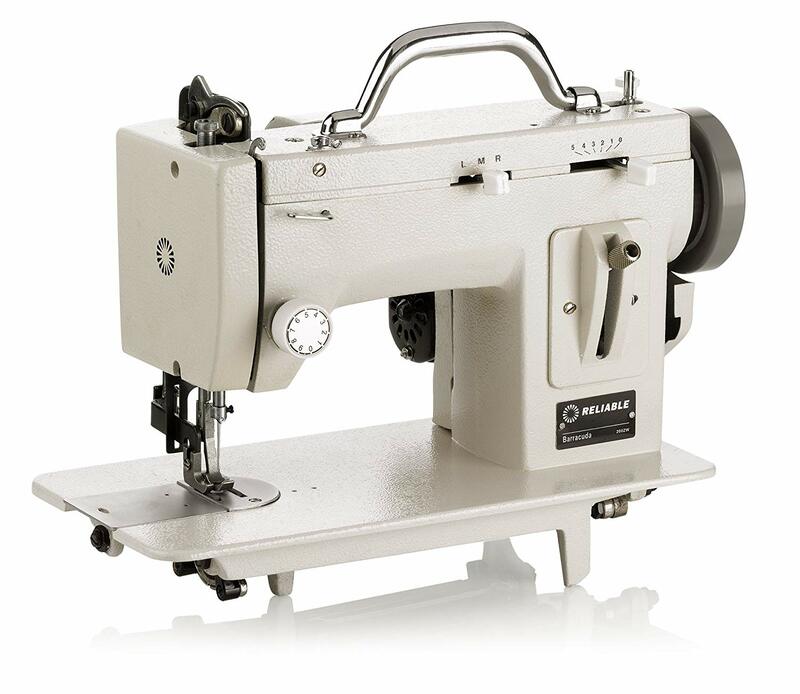 The Highlead GC20698-1 25in Long Arm is a heavy-duty industrial-grade walking foot sewing machine. It’s appropriately named, as it features a 25-inch long horizontal arm. It has a maximum speed of 1800 stitches per minute. You also get a safety clutch and a Servo motor that automatically stops as soon as you finish sewing. Furthermore, it comes with a pre-assembled sewing table. Customers really appreciate the long arm on this walking foot sewing machine. It gives you plenty of room to work with and allows you to do jobs that wouldn't be possible with a standard arm. It’s also capable of stitching any material quickly and easily. Regarding complaints, there’s really only one. That’s the price. This walking foot sewing machine is going to cost between $3,000 and $4,000. This makes it by far the most expensive machine on this list. It’s a very high-quality product if you can afford it, but this isn’t realistic for most of us. You’ll probably want to go with a cheaper machine unless you have a lot of extra money to spend. Sewing Machine Plus gives it 4.8 out of 5 stars. Before we look at the best walking foot sewing machines of 2018, you probably have a few questions. Here’s what you need to know before you buy. A walking foot sewing machine is a sewing machine with a walking foot attachment. The attachment was given this name because it looks like a pair of feet walking forward. Having this attachment on your sewing machine helps keep it stable while working with heavy materials such as upholstery, foam, or multiple layers of fabric. Otherwise, these materials would slide all over the place while you’re trying to sew them. It is worth noting that most household sewing machines do not come with a walking foot. This is more common with industrial machines that specialize in certain materials. Therefore, you’ll need to specifically look for a walking foot sewing machine if you plan to work with these materials yourself. 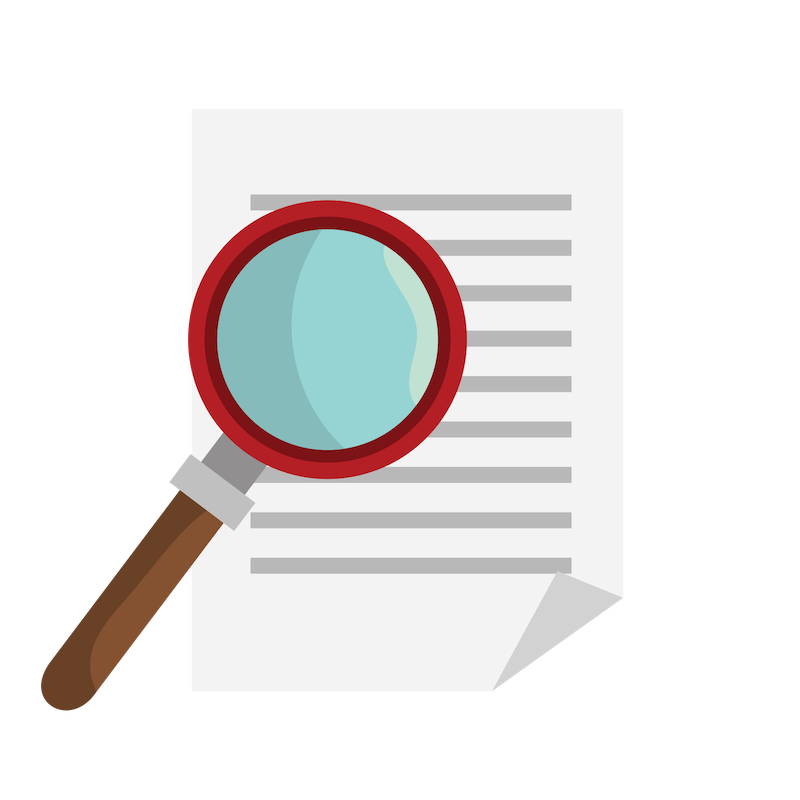 Cost is naturally going to be a major factor in your decision, but there are other things to consider as well. One of these is portability. Walking foot sewing machines are heavy by nature because they’re made out of metal. However, most modern machines should have enough plastic parts to reduce the overall weight somewhat. Speed is another important consideration. Most high-quality walking foot sewing machines will be able to do between 1,000 to 5,000 stitches per minute. This will allow you to do your work at a reliably efficient pace. Finally, you want to consider ease of use. You want to go with a machine that uses digital controls whenever possible. 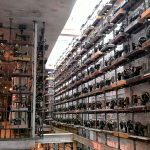 Unfortunately, there are still machines that use outdated switches and levers that make them difficult to use. You also want to make sure the foot pedal is responsive and you have plenty of space for your hands. Luckily, these things will not be an issue for most modern walking foot sewing machines. Beginning sewists might question whether they need a walking foot sewing machine in the first place. Technically speaking, a walking foot is an optional attachment. However, you’re going to be limited in the kinds of materials you can work with if you don’t have one. This is especially true if you enjoy quilting. You can still sew these materials without a walking foot, but it’s going to be much more difficult. Therefore, it’s a good idea to have a walking foot sewing machine even though they’re a bit more expensive. There’s a good chance you’ll need one unless you only work with lighter fabrics. Even then, it’s good to be prepared in case you decide to try working with heavier materials later on. 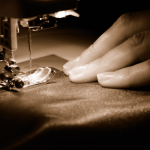 The cost of a walking foot sewing machine can vary quite dramatically. The difference largely depends on the size of the job it’s capable of handling. A sewing machine that’s mostly used for quilts and boating sails will usually be cheaper. On the other hand, an industrial-grade sewing machine might cost higher. Most of these machines are available on sites like Amazon or Sewing Machine Plus. You can also find them at Walmart and most fabric stores. In many ways, your decision will depend on how you plan to use your walking foot sewing machine. You don’t need an industrial-grade machine for household projects. In this case, we recommend the Reliable Barracuda 200ZW or the Sailrite Ultrafeed LSZ-1. If you have a small business that regularly works with material like upholstery, you might want to invest in the Consew 206RB-5. No matter what you decide, having a walking foot sewing machine will make your life as a sewist much easier. It will allow you to do jobs that would be much more difficult with a regular machine. It’s something you’ll definitely want if sewing is your passion.